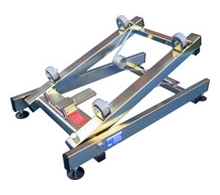 Unlike most stillages where barrels are in direct contact with the metal stillage, all Kayel stillages incorporate a set of four roller wheels on which the barrels rest. 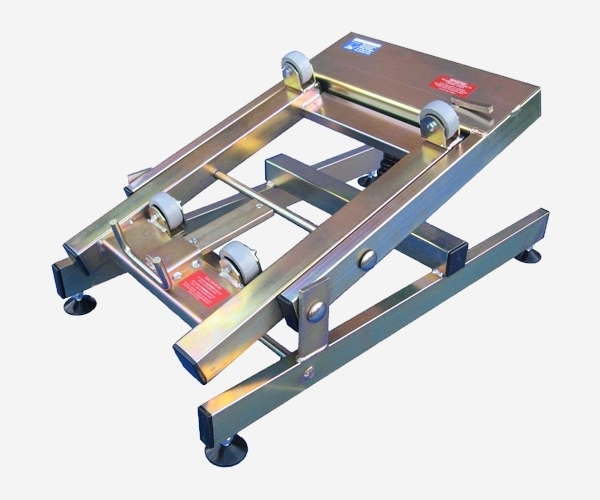 These wheels enable the barrel to be rotated with ease to centre the keystone after loading and because there is no metal to metal contact, there is no fear of damaging the stillage which can lead to corrosion. 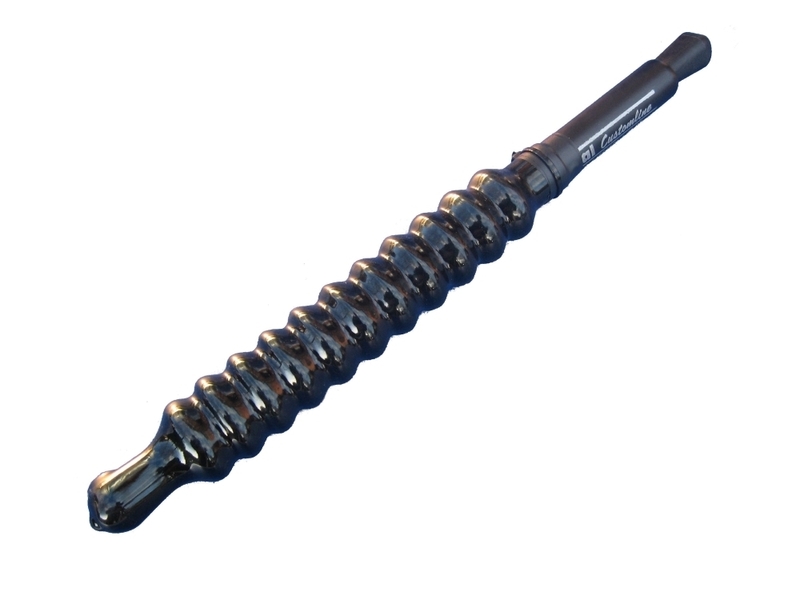 The hydraulic spring is filled with both an inert gas and a thick hydraulic fluid. The gas serves to lift the cask whilst the hydraulic oil slows the movement to provide an unrivalled smooth tilting action. 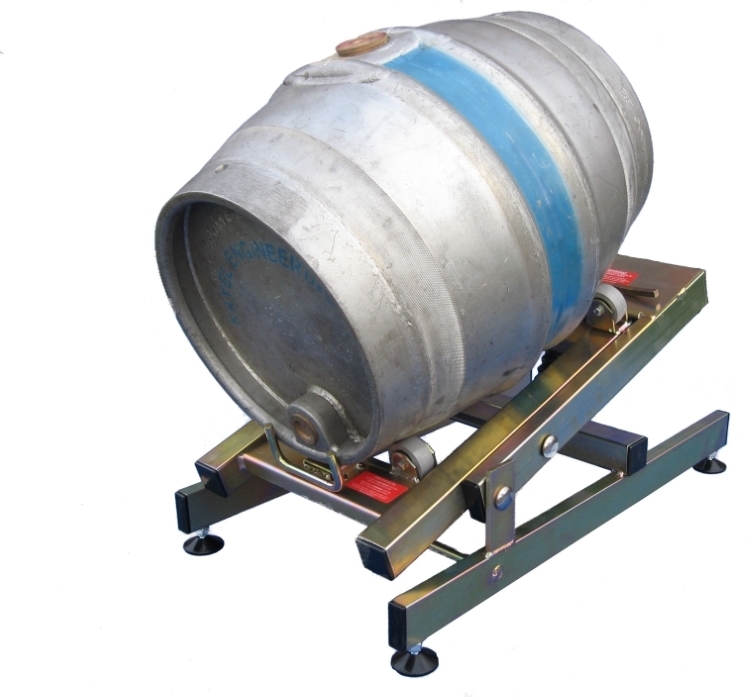 The KLG stillage incorporates an 'Easy-Load' facility which eliminates the need to lift a cask when loading it on to the stillage. 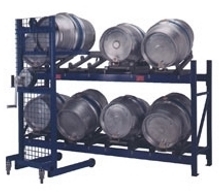 This KLG is probably the easiest stillage to load available on the market. Even an 18 gallon cask can be loaded with minimal effort due the ergonomic design of the stillage which allows the barrel to pivot about its middle when loading on to the stillage.